I've decided that I will not give into the Chanel Jade phenomenon but instead give you an "in" on my latest nail polish loves. My search for a gray brought me to the affordable yet professional quality China Glaze. My first purchase of this brand was made while browsing Ebay in which I pressed the BUY button for "Recycle". The color is a creamy medium gray that is extremely versatile and can look both sophisticated and casual. Even though the hubby likes black and says gray is too generic, I completely disagree. Black polish is great for when I'm feeling nostalgic or in a goth mood, but the gray is perfect for those middle-of-the-road days when you just feel like matching your favorite gray outfits and lately, gray has been my color of choice. But enough about gray. So while I was browsing Ebay to see what else it had in store for me, I noticed that the company had a beautiful, bright turquoise hue called "For Audrey". 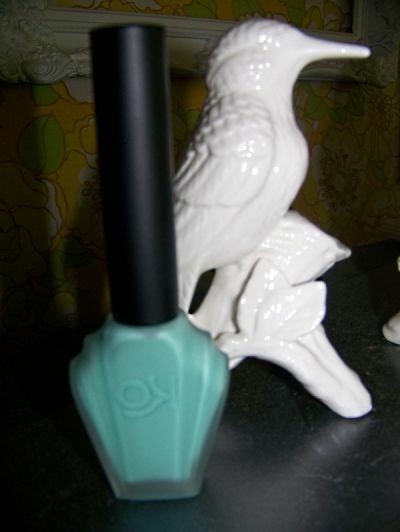 Think Tiffany blue. Well, it wasn't too hard to convince myself I had to get it since my favorite color is aqua. Luckily, on a trip to Sally's Beauty Supply, I found that they had a whole selection of China Glaze and the shade that I so wanted. 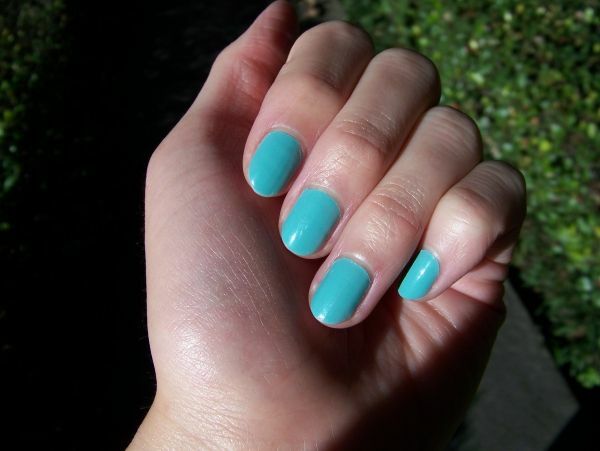 I'm currently sporting this light turquoise blue shade and it's much more wearable than I thought it would be. 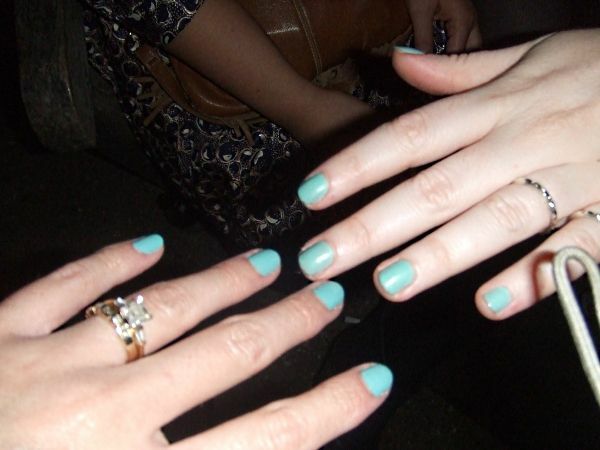 It's more creamy than bright and is a really lovely shade of robin's egg blue. I've been wearing it non-stop although I did have to give my nails a rest for a couple of weeks. Very Easter but also perfect for the drab winter weather. It gives a great flash of color for more monotone looks but is subtle enough to blend well with other colors. This is Knock Out's matte version. That nail polish color is so adorable. I love that china glaze grey. Another good one is OPI's You Don't Know Jacques.